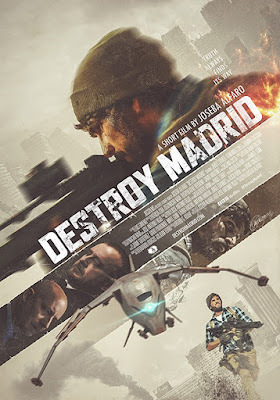 This is the sci-fi short film Destroy Madrid. It was directed by Joseba Alfaro, and stars Fernando Cayo, Ramón Quesada, and Ricardo Reguera. Check out the synopsis and short film below. "Madrid, 2030. In a world ravaged by the fight between governments and citizens, one member of the resistance has got a mysterious device that can finally end the war. Will he escape from the drones that guard the city?"